The day after graduation, Scott opened a product design consulting firm in San Francisco with friend Neville Page. Soon they were designing a variety of consumer products, the majority being durable medical goods and sporting goods. Clients included Everest-Jennings, Kestrel, Giro Sport Design, Nissan, Volvo, Yamaha, Scott USA, and Schwinn. In 1995, both Scott and Neville relocated to Vevey, Switzerland to teach drawing and industrial design at Art Center, Europe. Upon the closing of ACE in the middle of 1996 they relocated to Los Angeles. Scott continues to share a studio with Neville where they do consulting work for a wide range of clients. Since returning from Europe, Scott’s clients have included BMW subsidiary Design-works/USA, Bell Sports, Raleigh Bicycles, Mattel Toys, Patagonia, 3DO, the feature film Minority Report, Nike, Troxel, Rock Shox, Universal Studios, Black Diamond, Angel Studios and Fiat. 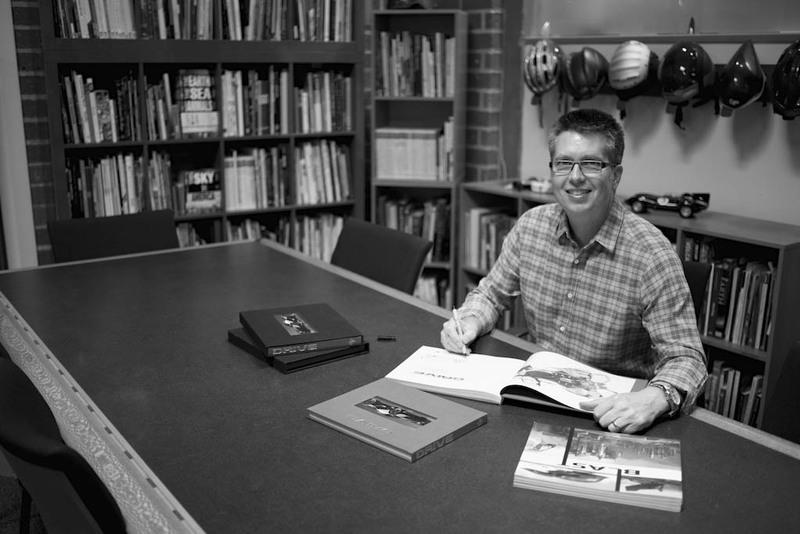 In 2002, Scott founded Design Studio Press, a publishing company dedicated to art and design education. DSP's first book, Concept Design 1, released in 2003 and now out of print, is a collection of original artwork by seven of the top concept artists working in Hollywood. All seven artists reunited for Concept Design 2, published in 2006, this time including the work of fourteen guest designers as well. In 2004 Scott art-directed 240 illustrations for Mattel's Hot Wheels AcceleRacers collectible card game and authored How to Draw Cars the Hot Wheels Way for Motor Books Inc. Furthering the mission of design, drawing, and rendering education, Design Studio Press teamed with The Gnomon Workshop to create a library of 'how to' DVDs. Scott has instructed on nine DVDs, focusing on drawing and rendering techniques for industrial and entertainment designers. He has co-produced an additional 41 DVDs with various top artists, designers, and instructors, including renowned designer Syd Mead.